Specially designed and manufactured by Calor, it’s lightweight, portable and seriously stylish. 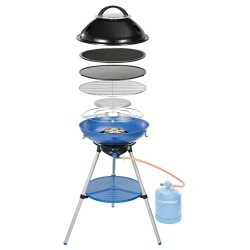 Most importantly, it’s the smartest piece of outdoor cooking kit you’ll ever need. Specially designed and manufactured by Calor, it’s lightweight, portable and seriously stylish. Most importantly, it’s the smartest piece of outdoor cooking kit you’ll ever need. 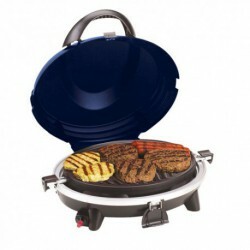 This self-contained outdoor cooking solution has a unique lid which doubles as a chopping board when you’re out and about. 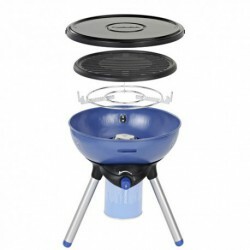 It’s the only grill with space inside to store a Calor Gas 340 cylinder or a 400g Bullfinch / Rothenberger cartridge, so you can easily carry everything together. 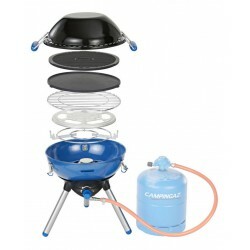 You can also connect it to a Calor patio cylinder when you’re cooking for a crowd.